Bring this Safavieh Courtyard area rug into your dining room for an easy splash of style. Make your hallway, dining room, or living room more stylish with this indoor/outdoor plush synthetic rug. Bring this machine-made rug into your home for a durable interior design option. Add this geometric patterned black rug to the dicor of your home for a contemporary infusion. Courtyard Jane Black / Beige 8 ft. x 11 ft. Indoor/Outdoor Area Rug Bring this Safavieh Courtyard area rug into your dining room for an easy splash of style. Make your hallway, dining room, or living room more stylish with this indoor/outdoor plush synthetic rug. Bring this machine-made rug into your home for a durable interior design option. 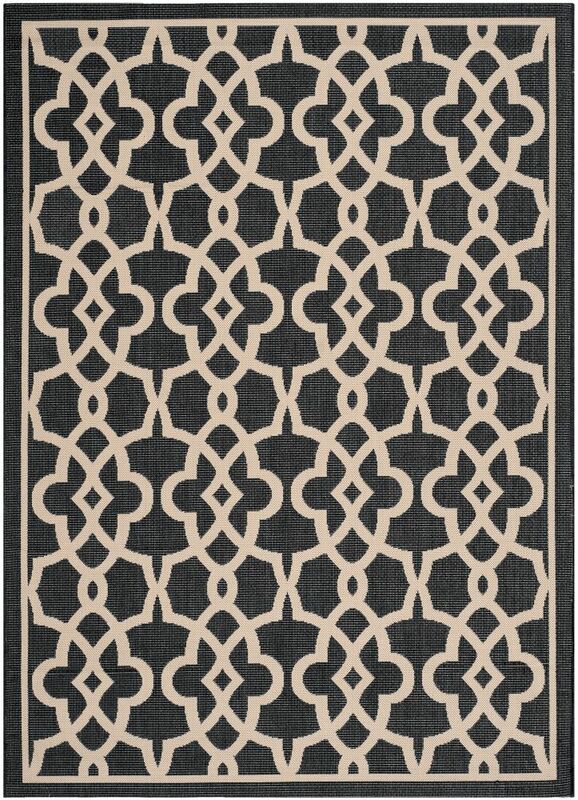 Add this geometric patterned black rug to the dicor of your home for a contemporary infusion.